As an iPhone user, you might have already come across something called Recovery Mode. It’s a state that your device must be put into when a firmware update goes awry and your iPhone requires iTunes to do a full restore. It also means that iOS is too unstable to boot up properly. The symptoms for when recovery mode is needed are many: device stuck on Apple logo, iTunes can’t recognize the device, iPhone stuck in boot loop and so on. The problem is, your iPhone can also get stuck on recovery mode, which compounds the problem and makes it that much harder to fix. Fortunately for you, the TinyUmbrella utility for Mac and Windows helps you extricate yourself from the problem and gets your iPhone out of recovery mode without forcing you to lose your data and settings. Jailbreak enthusiasts might be familiar with this utility because it helps them save SHSH blobs for when Apple stops signing a particular iOS version. TinyUmbrella also allows you to downgrade to an older iOS version for which you have the SHSH blobs saved. There are quite a few other features, but the one that stands out – because it helps jailbreakers and non-jailbreakers alike – is the feature to exit recovery mode. Semaphor, the developer behind TinyUmbrella, put this in as an additional feature, but it’s clearly becoming one of his creation’s most popular features. Why? Because recovery mode is notoriously hard to get out of in most cases, and a lot of users regularly face issues when upgrading to a higher iOS version. As such, it is a vital part of your iPhone restoration toolkit. How Does Exit Recovery Work in TinyUmbrella? Step 1: Connect your iPhone to a computer and shut down iTunes if it loads. Step 2: Download and install TinyUmbrella (choose Mac or PC version) and launch the application. Your device will be automatically detected. Once that happens, you’ll see a message saying that a device in recovery mode has been detected. Step 3: Now click on the button that says Exit Recovery. Your device will be taken out of recovery mode and reboot normally. You can now close TinyUmbrella and unplug your iPhone. And Voila! That’s how easy it is to resolve a complex issue. You can also put your iPhone into recovery mode or fix the feature using the software. Of course, you can also use it to save SHSH blobs for currently signed versions of iOS. This has to be a proactive effort, so we recommend that you do it as soon as possible, and keep doing it whenever a new iOS version is released to the public and you update your firmware to that version. If you’re a jailbreak fan, this should be a top priority for you every time Apple pushes a new public release. A simple three-step process will help you save SHSH blobs for signed versions of iOS. It might be obvious, but if your iPhone is running an older version of iOS that is no longer being signed, you won’t be able to save the SHSH blobs for it. 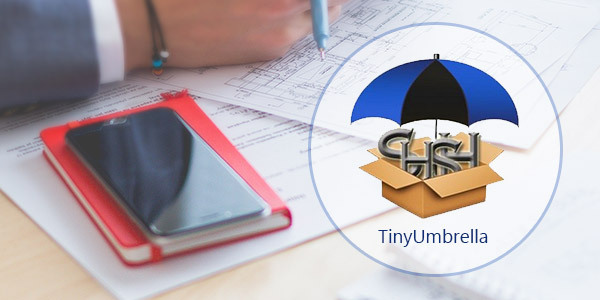 Our understanding is that older versions of TinyUmbrella could fetch blobs for unsigned versions from Cydia’s servers in case they were saved while the version was still being signed, but the new TinyUmbrella fetches it directly from Apple. That’s obviously safer. Step 1: Connect your iPhone to the computer and launch TinyUmbrella. Step 2: Once detected, you should be able to see your device in the software interface. If not, disconnect the phone and try again, and select the device on your screen. Step 3: Your SHSH blobs will be automatically saved to this file: ~/.tu .shsh. All details of your known devices will be stored here: ~/.tu/ .known_devices. There are three different types of SHSH blobs – OTA, Erase and Update. However, you don’t need to worry about which version can help you downgrade because you either have them or don’t have them. If you have them, you can downgrade with TinyUmbrella. Step 1: Download the TinyUmbrella .exe file to a folder called Pwnage on your desktop. Don’t run it yet, just save it. Step 2: Download the IPSW file for the iOS version you want to downgrade to and save it in the same Pwnage folder. Step 3: Run TinyUmbrella by going to your desktop/Pwnage and clicking on the .exe file. Step 4: Plug in your iPhone. Once it’s detected by the software, you’ll see a list of available SHSH blobs for that particular iOS version that you’re downgrading to. If you don’t see it, you can click on Save SHSH, but that only works if that older iOS version is still being signed. Ideally, you should have downloaded the SHSH blobs while the version was being signed by Apple. Step 5: Click on the Start TSS Server button. If successful, you’ll see a message that it is running. If you don’t, abort the process right here. Step 6: Now launch iTunes and put your device in DFU mode. Choose your device in iTunes, then hold down the Shift key (Alt in Mac) and click Restore iPhone… in iTunes. Step 7: In the File Explorer window, go to your Pwnage folder, select the IPSW file and hit Open. Leave everything as it is and let the downgrade happen. Your iPhone will reboot into the older iOS version. As you can see, TinyUmbrella is a vital tool for every iPhone owner irrespective of whether you’re interested in jailbreaks or not. A lot of users get their devices stuck in recovery mode, so that at least is a good reason to get this utility and keep it handy.